Although forgotten for many years, today, Edward S. Curtis (American, 1869-1952) is one of the most recognized and celebrated photographers of Native North American Tribes. 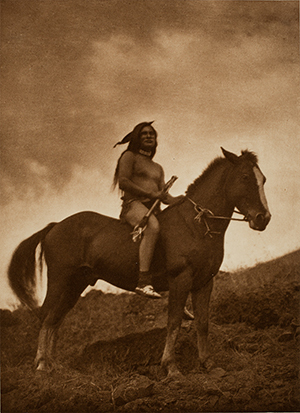 In the early 20th century, Curtis launched The North American Indian project, a thirty-year mission which he described as an effort “to form a comprehensive and permanent record of all the important tribes of the United States and Alaska that still retain to a considerable degree their...customs and traditions.” He sought to create a scholarly and artistic work that would document the ceremonies, beliefs, customs, daily life, and leaders of these groups before they “vanished.” Selected from the Art Museum’s collection, Identity and Gender Roles: The North American Indian Photographs of Edward S. Curtis examines how identity and gender roles are illustrated through his depictions of daily life. 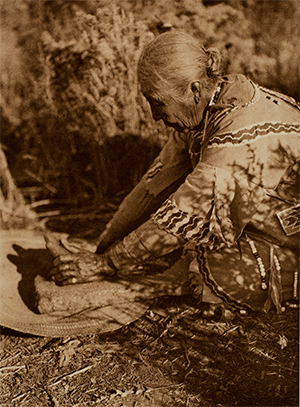 Identity and Gender Roles: The North American Photographs of Edward S. Curtis premiers this new exhibition available through the Art Museum’s Regional Touring Exhibition Service. It is available for travel across the state in the fall. Funded in part by Union Wireless, TRONOX, and UW Art Museum Gala Funds.